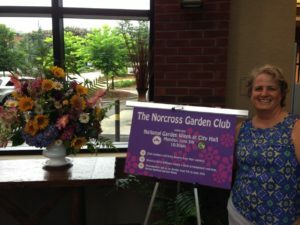 Each year Norcross Garden Club member Betty Williams creates a stunning floral arrangement containing flowers and plantings from the Club's garden as well as member gardens. 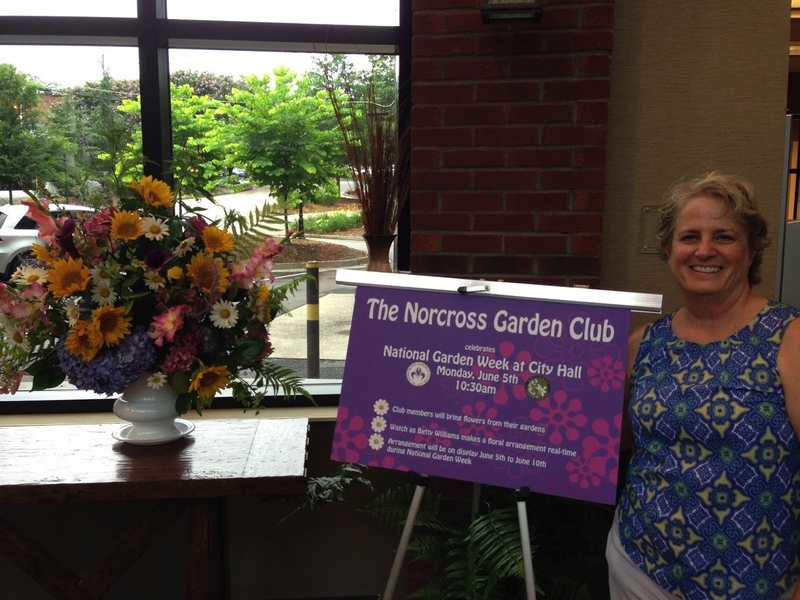 The arrangement will be on display in the rotunda of Norcross City Hall until June 10th. This arrangement marks the beginning of National Garden Week which runs this year from June 4 - June 10. Included in this arrangement are Calla Lilies, Gladiolas, Shasta Daisies, Yarrow, Hydrangeas, Sunflowers, Fern sprigs, and many more delightful colors and textures. Members supporting Betty while she created this arrangement include from the left, Nancy O'Reilly, Diane Reese, Carol MacGregor, Betty Williams, Leanne Penman, and Jolyn Barrow. 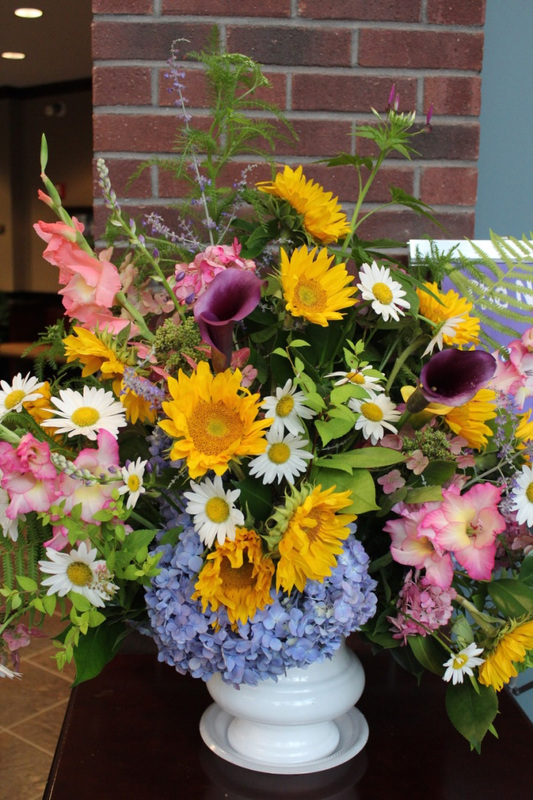 We had so many flowers and plantings that Betty made another arrangement using one of the City's decorative vessels.